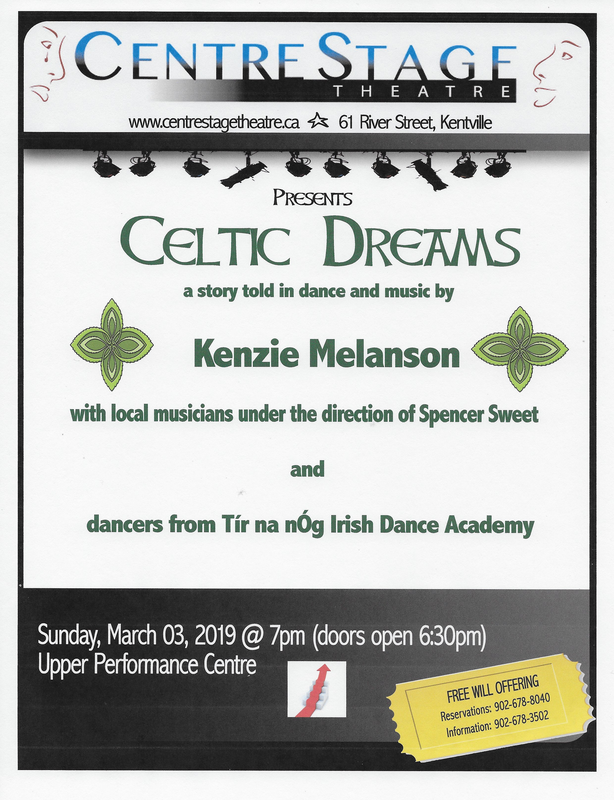 CentreStage is delighted to present Celtic Dreams, a musical story written, arranged and choreographed by Kenzie Melanson and showcasing the talents of young musicians under the direction of Spencer Sweet, dancers from Tir na nOg Irish Dance Academy, and vocalists. Kenzie is well-known to CentreStage audiences from her work on stage and behind the scenes. She is the 2018 Eastern Canada Irish Dance Premiere Champion.